What does the Directive on Timeshare bring to consumers? At the end of February this year (effective on 23.2.2011), the new European Directive 2008/122/ES on the protection of consumers in respect of certain aspects of timeshare, long-term holiday product, further sale and exchange contracts was implemented in the Czech Civil Code through the Act no. 28/2011 Coll. 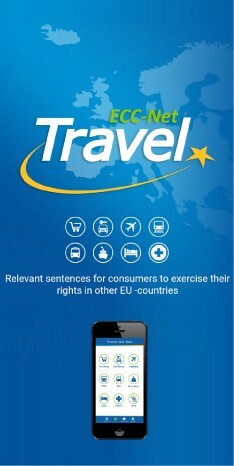 The aim of this article is to acquaint consumers with the practical impact of the new directive. Timeshare (a contract on using a building or its part for a certain period of time) is a certain way of a charged right to use a part (specified by a contract) of recreational immovable property for a certain amount of time. A consumer who concludes a so called timeshare contract is obliged to pay so called maintenance fees connected with the management of the immovable property provided to him and to pay a “timeshare purchase price” at the beginning of the contract. In exchange, the consumer has the right to use the premises of the recreational object specified by the contract, but only for a certain season of a year, which is also defined in the contract. What lead to the new legal regulation in the area of timeshare? The directive was created as a reaction to bad experiences with practices of holiday services providers throughout the European Union. Providers of the so called timeshare very often gain their client, who binds himself to a long-term contract on “the possibility of a common use of a holiday building by means of marketing methods. The very possibility of the consumer to withdraw from the contract with a timeshare provider is very often complicated, or even impossible. Certain false hope of escaping from the contract is offered by so called timeshare resales: middlemen reselling timeshare contracts. These timeshare sellers offer timeshare holders the possibility to sell their contract, thus transferring the liability on a third person. For this possibility, they often request high fees from timeshare holders, despite such fees are not connected with timeshare's successfully being sold. The abovementioned directive's purpose is i.a., to increase consumer's leeway and make it possible for him to defend himself against unfair timeshare providers. What does the new legal regulation bring? The new legal regulation replaces the current provisions of § 58 to 71 of the Civil Code. Besides increased information duty, which sets a minimum amount of information to be provided to consumers in a form (in Czech) before a contract is concluded, it shall stipulate, under the sanction of contract's nonvalidity, the language (according to the consumer's place of residence) in which the contract must be concluded. The amendment also sets a 14 days period, within which consumers can withdraw from the contract without stating any reason, at no costs incurring to them as a result of this legal act. It also explicitly forbids the timeshare provider from requiring or accepting any advance payments, other fulfilment or their provision before the end of the withdrawal period. If the withdrawal from the contract takes place in cases when the price is fully or partially paid from a credit provided to the consumer by the timeshare provider or by a third person on the basis of an agreement with the third person and the timeshare provider, this new credit contract will be also terminated at no cost for the consumer. The same applies to contracts on other connected services, such as participation in an exchange scheme. The amendment provides consumers with effective means of remedy for situations when timeshare providers do not meet their obligation to provide information or contract by, among other things, prolonging the withdrawal period without giving any reason and without any sanctions or costs. The purpose of the above described Directive , as well as the implementing act (i.e. provision of the Civil Code) is to increase consumer protection, thus also the protection of timeshare service recipients (timeshare resale).